Join us on Sunday, February 3, 2013, for our Annual Super Bowl Celebration. 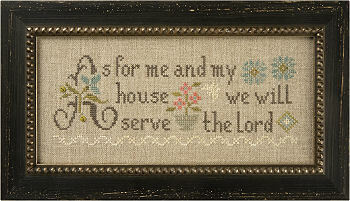 Open from 2-5 on Sunday afternoon, we will have unadvertised specials, freebies and all the latest designs we can gather. 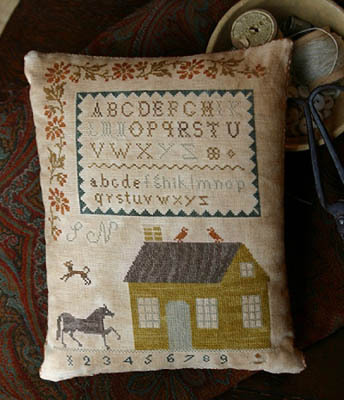 Spend some time catching up with your stitching friends. See you Super Bowl Sunday, February 3, from 2pm-5pm. 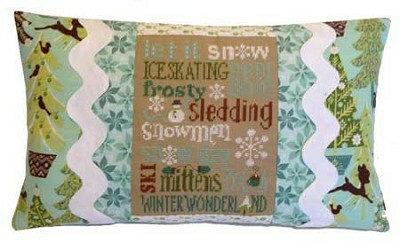 This week has brought two new Pine Mountain pillow kits -- WINTER TYPOGRAPHY and VALENTINE TYPOGRAPHY. 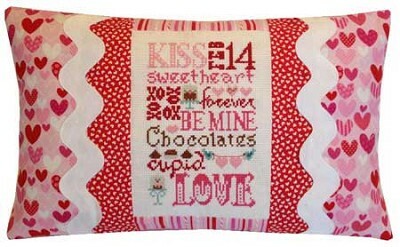 Quick to stitch for the upcoming Valentine holiday! Lizzie Kate has done it again with her clever way with words. 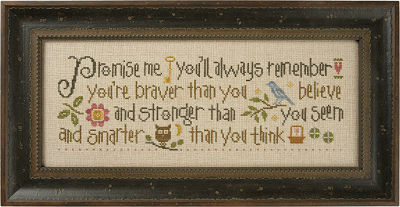 PROMISE ME YOU’LL ALWAYS REMEMBER and AS FOR ME AND MY HOUSE INSPIRATION BOXER are both beautifully done. 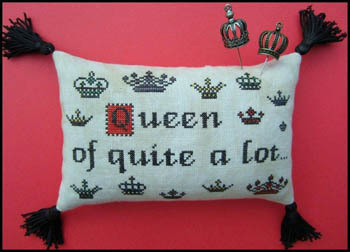 QUEEN OF QUITE A LOT is one of those designs which is bound to describe someone you know. Now you can present that someone with something very personal. Fun design! 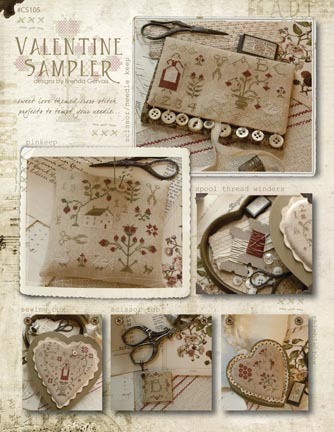 VALENTINE SAMPLER is a beautiful collection of small designs perfect for needlework accessories plus instructions on how to cover a candy box. Super ideas. BUTTERNUT TAVERN, from Stacy Nash, is a sampler returning you to colonial days. Simple AND beautiful. In addition to this sampling of new things, we are on the receiving end of the wonderful designs being presented in monthly deposits such as Santa’s Village, Little Sheep Virtue and Blue Ribbon Mystery Sampler. If you are on one or more of these lists, you will hear from us shortly. 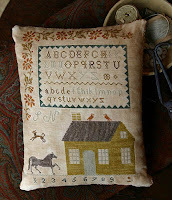 Still to come: Lizzie Kate Ornament series and Hometown Holiday series from Little House. If you have not heard about these, give us a call. 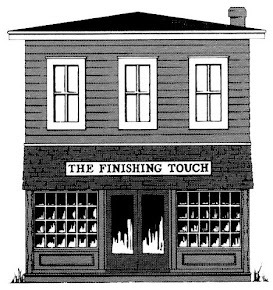 See you at The Touch.